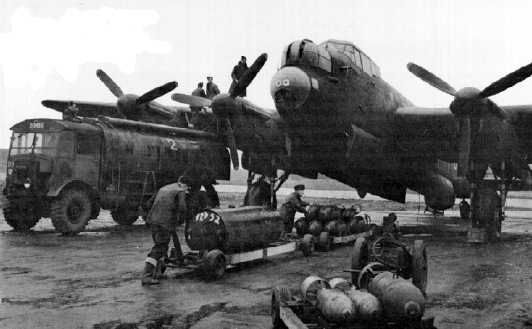 253 Lancasters bombed the railway yards at Aulnoye and Revigny, cutting the lines to the battle front. 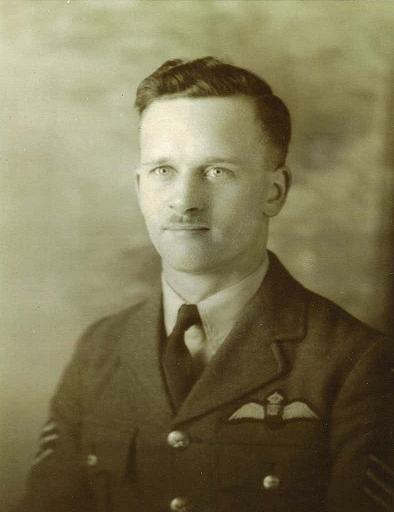 While Balcombe acted as Navigator on Johnston’s crew on this trip, 115 Squadron’s Operations Record Book notes Henderson as Navigator. The boys went on an “early morning” to the beach head to help out Monty’s attack at Caen – apparently it was quite a success. Poor George Letts got the chop! Happened over England as they found the plane with everyone in it but no one knows what happened. I’ve been given Willie! Hot dog! F/L Belyea (the dim twerp!) had it on this morning’s do and he put port outer U/S so I had to flight test it in the afternoon – it was in perfect shape and the ground bods couldn’t find anything wrong with it! He’s a dim twerp (at the risk of repeating myself!). Murray went on a 48 and Johnny on a six day leave this afternoon so I took Jowett and Muir’s navigator (Balcombe) on the trip at night. We went to Aulnoye - a railway junction about a hundred miles northeast of Paris near the German border. We lost one fellow from here and two altogether and we saw both of them go down. Folkes was attacked four times but got away with it. We were lucky and got away with it completely. There were 109 went to a point one hundred miles east of Paris and they lost twenty-four of them – poor devils. We had some foxy tactics. Flew out to mid channel at 9,000 then a rich mixture climb to 17,000 then across the coast and a few minutes later down to 14,000 – at that for fifteen minutes or so then down to 9,000 to bomb, then out at 180 after sharp climb to 11,000 ft, to the coast and so home at 200 from there on. All losses of height at 210 and level at 165 on the way out. Saw another attack developing about twenty minutes before ours which was about ten miles north of our last turning point before the target. They had bags of searchlights but we didn’t have any opposition at all to speak of except for the fighter boys (which was plenty come to think of it!). Still that’s one third through! S/C at 9,000 over base. At 165 to turning point in channel. Sharp rich mixture climb to 17,000. Cross coast about ten miles then nose down at 210 to 14,000. 165 again until about thirty miles from target. Nose down again at 210 to 9,000 feet thru target at 180, then out to next turning point at 9,000 feet 180 mph. At turning point sharp climb again to 11,000 then 200 mph over the coast (nose down if necessary). Then back to base in our own sweet way. Saw two chops numbered one and two in the order we saw them. One of them was Pellew from here. Not a bad trip altogether. Target well pranged.